Strand of Silk is a beautiful made-to-measure clothing site combining traditional Indian design with contemporary international fashion. My favorite thing about it is that the company wants their customers to feel like they are on a journey throughout the process, rather than an ordinary online shopping experience. 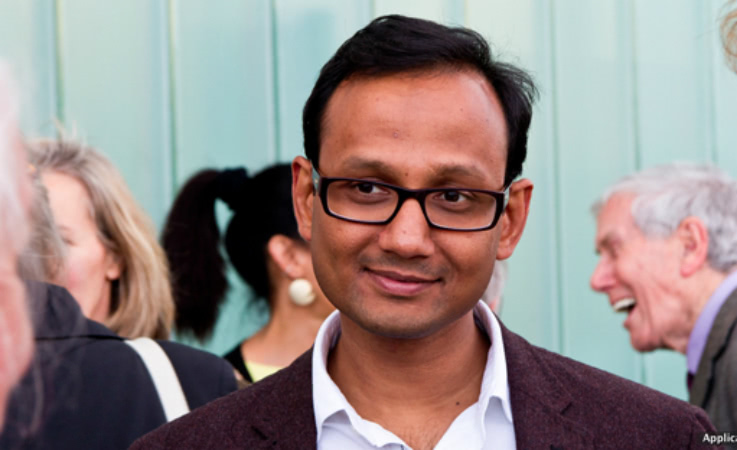 We caught up with founder Vivek Agarwal to find out what inspired Strand of Silk, how he handles frustration and why pizza motivates him. What’s the greatest thing about Strand of Silk? Its a great place to work because we have a lot of young people in the company – they are smart, intelligent and usually strong opinions – and they are able to participate in a constructive manner in the company. I love the fact that I am able to give people a comfortable atmosphere that helps them develop and learn new skills. Educationally, I hold a Masters in Commerce, Chartered Accountancy degree and a MBA, and professionally I have worked in Auditing, Real Estate, Consulting and Investment Banking before I started my company. The structured and analytical approach with the ability to work with people from different backgrounds have been my greatest learning. The background has helped me take a different approach to the Fashion Industry. I wanted the name to convey Luxury, Exclusive, Connected to Asia – so, Strand of Silk seemed like the perfect synthesis of all these aspects. I started the company on my own. At the moment, we have 6 – 8 full-time people in India, UK and Bahrain. I usually try to channel it positively – I try to push myself harder to eliminate the cause of the frustration. Last time I dealt with frustration was some hours back, trying to set up an event in the next 3 months. The person did not get the fact that we are a young company, so do not have money to throw around on “good to have” things! I am thinking of creative ways to solve this dilemma so that the objectives of the organization are achieved in the most cost effective manner for my company. It’s a very relaxed environment where people play what music they like (otherwise i end up playing around 10 songs on loop for days on end!). People discuss everything and share their points of view on everything being discussed. Having worked in an investment bank for some years, I knew that i didn’t want a stuffy environment. It’s going to be the destination for contemporary Indian design. Offering the best of fashion and other products that make available beautiful and amazing products to customers in an easy manner. Pizza is usually a good motivator for anything, but for the business my inspiration is all the entrepreneurs that have been successful (many in my family) – they have put in the hard work to create businesses from nothing to international successes. Seeing them continue to work incredibly hard even post 60 years of age, keeps me going. Knowing that my business has not reached the potential I believe it holds, keeps me motivated to keep working incredibly hard. Self-funded. Many many years of savings are invested here! Keep control on your costs, spend, test and then spend again. Do not get overtaken by emotions, measure and analyse everything! I’d travel to Latin America. My Spanish is rusty and I’ve always wanted to visit the amazing countries in Latin America – it’ll be a great way to achieve both objectives! Not yet. I believe that once I am able to really address my customer’s needs of getting them the best of contemporary India conveniently, I’d consider myself a successful entrepreneur. Business of Fashion – their analysis of fashion from a fashion and business perspective is great and very insightful normally. Pulse, can read all the news together, it’s so addictive! Iceland – I like the cold weather and hopefully can see the Northern lights! Thanks, Vivek! 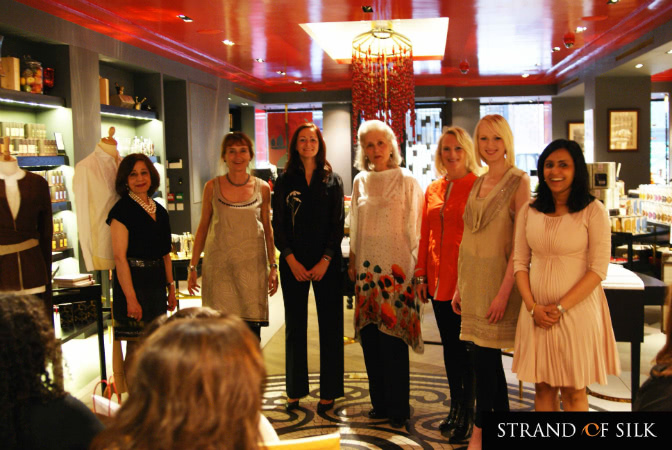 Check out Strand Of Silk and discover some seriously gorgeous Indian garments and jewels. I’m in love with this emerald beaded bracelet, just need to find myself a generous gift-giver. Takers?